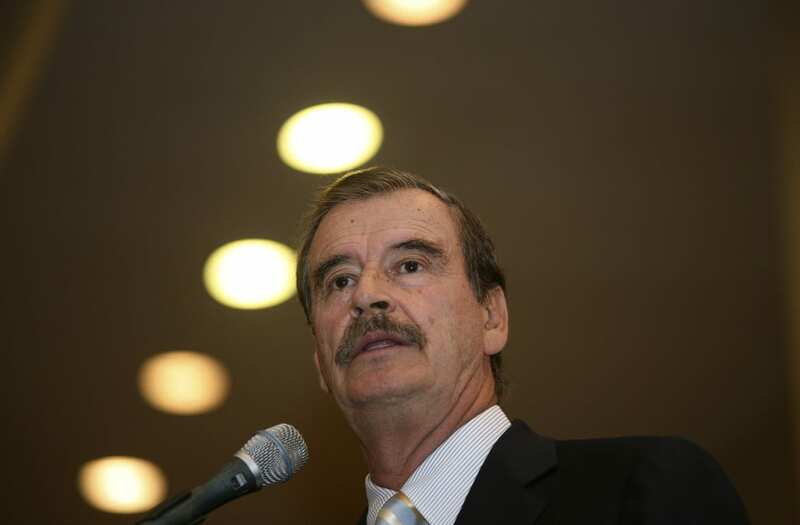 Former president of Mexico, Vicente Fox, has made it pretty clear he isn't much of a Donald Trump fan, not with the whole "Mexico will pay for the wall" spiel and all. But now the outspoken politico south of the border has kicked up his mocking of the POTUS with a video advising him how to keep a cool head... and his finger off "the button." The pièce de résistance: some of Fox's suggestions come from a book about toddlers. "I know you don't want to end the world, but you're a hot-tempered man, Donald. And when it comes to war, it is important to slow down. So I made a list of five questions that I want you to ask yourself before you push the button," the video begins. Fox tells Trump, "ask yourself before you start a war: would you fight in it? Not now, obviously. You'd be useless unless we get attacked by golf balls, but back when you dodged the Vietnam draft, when bone spurs prevented you from serving your country but not serving on the tennis court." Question two: are you making war for the right reasons or for ego reasons? Moving on to diplomacy, Fox points out time has to be given for issues to be worked out with words and not bombs. "I know patience is not your strong suit, so I looked up some tips in a book about toddlers," Fox teases. "It says when a little kid gets fidgety, sometimes a treat can help. So I suggest you keep a bag of cookies in the nuclear suitcase and that way if you ever open it, you find the yummy cookies and maybe you don't feel like ending all life on earth." And if snacks don't work, Fox suggests video games to keep his restless mind active during his early morning strolls around the White House in his bathrobe. Finally, Fox asks and answers one last question: "Do you want to be a hero? Because you can, and it is so easy. All you have to do is quit. Just walk away. It will make so many people happy, including you. You can finally golf again. And you can go back to the woman you love... Ivanka."